Maximize your space. Reduce your costs. Increase your storage space by 40-70%! Our revolutionary storage solution recovers wasted floor space by turning aisles into more storage area. Shelving units slide effortlessly on our exclusive patented track system. The X5 has an amazing load capacity of 800 lbs/ shelf! Our X5 shelves were voted “Best New Product” at the International Hotel/Motel & Restaurant Show AND they are on the GSA Contract used by the Federal Government. 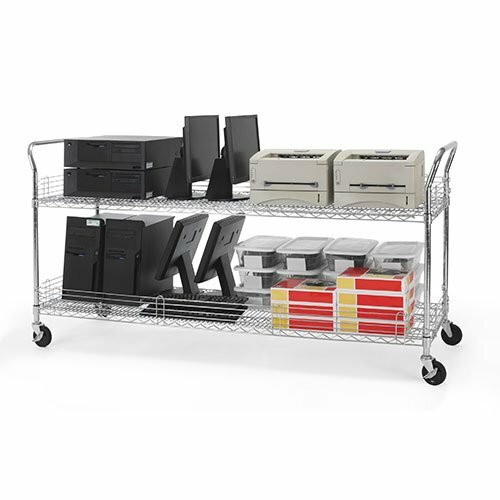 For lighter duty choose our X5 lite system to handle an impressive 300 lbs/ shelf! 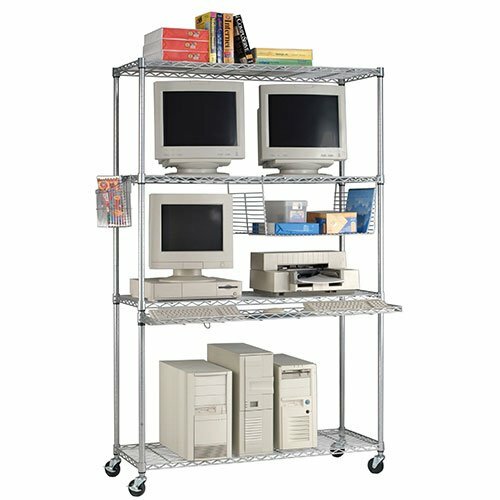 We also have freestanding shelves, shelves with casters, mobile carts to organize or transport all your office, warehouse & factory supplies.